Thank you to everyone who has responded to our survey. There’s still a chance to win some free books or great big piles of swag! To sweeten the deal, we’re going to add one more prize to the list. 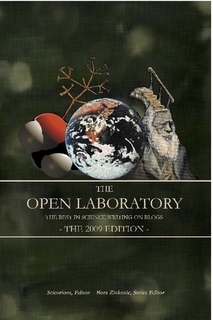 One lucky winner, randomly drawn from or pile of surveys, will win an autographed copy of the Open Lab 2009, featuring the Southern Fried Scientist’s article on Vampires and the Zombie Apocalypse. So Go take the Readers’ Survey, it’ll only take five minutes of your time.